Egypt’s President says the move of the U.S. Embassy in Israel to Jerusalem will have negative repercussions. Egypt’s President Abdel Fattah Al-Sisi said on Wednesday that the move of the U.S. Embassy in Israel to Jerusalem will cause “some instability” in the region. The comments, quoted by the Reuters news agency, were the Egyptian President’s first on the issue of the embassy move. “On the move of the U.S. Embassy, we have said this issue will have negative repercussions on Arab and Islamic public opinion and lead to a kind of dissatisfaction and some instability, and will have repercussions on the Palestinian cause,” Sisi said in televised remarks at a youth conference. Egypt, which has a peace treaty with Israel and is an ally of the United States, has condemned the deaths of Gazans in the clashes on the border with Israel, but avoided direct criticism of the United States following the opening of the U.S. Embassy in Jerusalem on Monday. 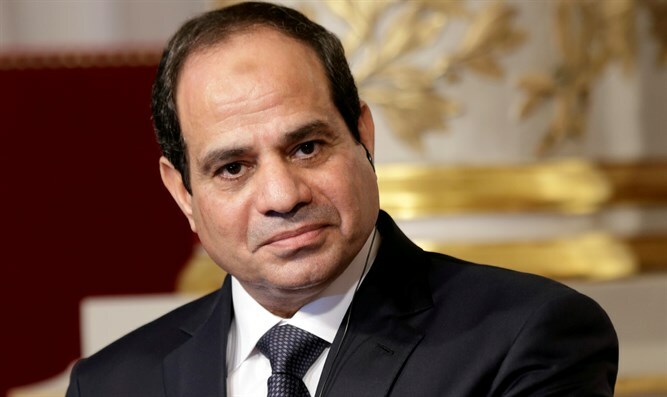 “I urge the Israelis to understand that the reactions of Palestinians over this issue are legitimate and that (they) are dealt with in a way that takes great care for the lives of Palestinians,” added Sisi, according to Reuters. The violent riots on the Israel-Gaza border, dubbed the “March of the Return”, started on March 30, before the embassy relocation, and have been openly encouraged by Hamas. In fact, on Wednesday a senior member of Hamas admitted that most of the 62 Gazans killed by Israeli fire during the border protests and clashes were members of the Islamist group. State Department spokeswoman Heather Nauert pointed out on Tuesday that the violent riots along the border “are nothing new” and added that Hamas is using the unveiling of the American embassy in Jerusalem as an "excuse" to encourage violence. While several world countries have pointed an accusing finger at Israel over the violent clashes, that has not been the case with the United States. Later in the day, the U.S. blocked the adoption of a UN Security Council statement that would have called for an independent probe of deadly violence on the Israel-Gaza border. On Tuesday, the U.S. Ambassador to the UN Nikki Haley said that the IDF acted with "restraint" in dealing with violent riots along the Gaza border.